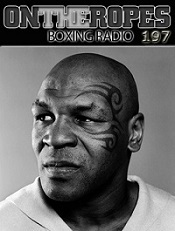 The first guest is reigning WBC super middleweight champ, Badou ‘The Ripper’ Jack. Badou speaks about the fight with Lucian Bute, and his disappointment with the result. Jack also breaks down DeGale’s last performance and looks ahead to their innevitable title unification bout. 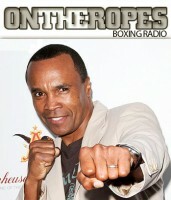 ‘The Ripper’ also discusses his preferences in terms of where the fight with DeGale should take place. Lastly, Badou Jack shares his thoughts on Amir Khan’s loss to Saul Alvarez and if he thinks the Brit can recover from the knockout. 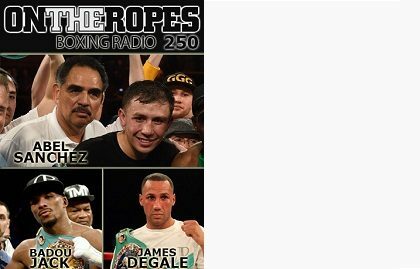 Also joining this week’s show is current IBF super middleweight champion, James DeGale. James talks about his recent win over Rogelio Medina and his upcoming title unification clash against Badou Jack. DeGale shares his views on Badou Jack’s controversial draw with Lucian Bute and how he thought the fight should have been scored. DeGale also talks about his career and not getting a Carl Froch bout. Additionally, James DeGale gives his thoughts on the boxing scene, including the future of Floyd Mayweather. 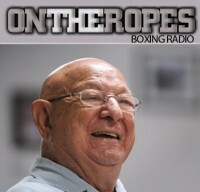 The main guest on this edition of “On The Ropes” boxing radio is respected trainer, Abel Sanchez. Residing in Big Bear, California, Abel is now most known for his work with undefeated IBO/WBA/IBF middleweight champion, Gennady ‘GGG’ Golovkin. Sanchez talks about the ongoing negotiations for a potential Saul Alvarez vs Gennady Golovkin title unification match. Abel also gives his thoughts on Canelo Alvarez’ knockout win over Amir Khan and the rumors that Canelo may fight Manny Pacquiao. Lastly, Abel Sanchez gives an update on Sullivan Barrera and the rest of his stable of fighters. 3 Responses to "Abel Sanchez on Golovkin vs. Alvarez & Pacquiao being too small for Canelo. 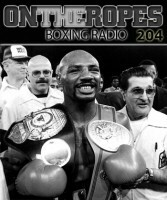 Badou Jack & James DeGale discuss fighting each other – OTR #250"
….great radio talk show….agree with it all…. I think if ggg were to beat handily or even knockout canelo then ggg could become the ppv star of the sport, there are other fighters that could also challenge to do the same like Crawford and even kovalev and ward are trying to do the same. Abel Sanchez, best known at the moment as being the head trainer of middleweight king Gennady Golovkin, believes the disappointing pay-per-view figures for Andre Ward vs. Sergey Kovalev was a direct result of the backlash from the 2015 mega-bout between Floyd Mayweather and Manny Pacquiao. Fans were very upset with the lack of fireworks and the post-fight bombshell that Pacquiao entered the fight with a right shoulder injury. 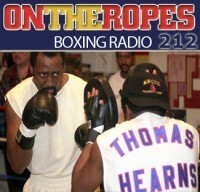 Follow ON THE ROPES BOXING!